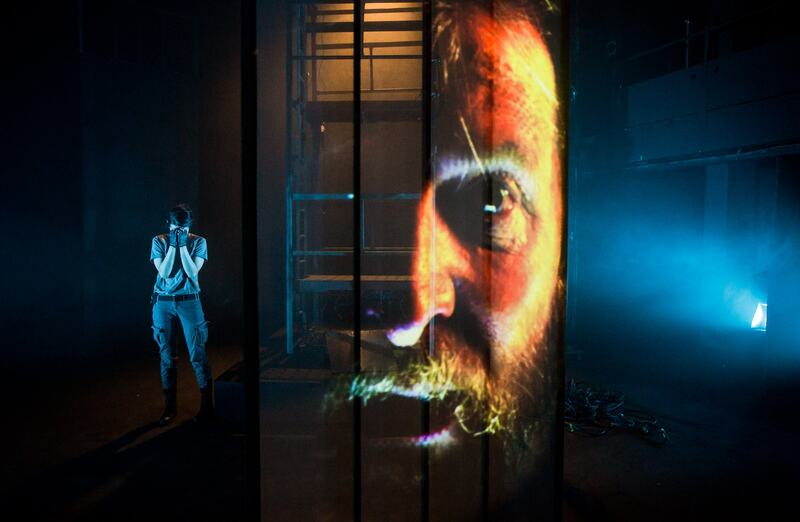 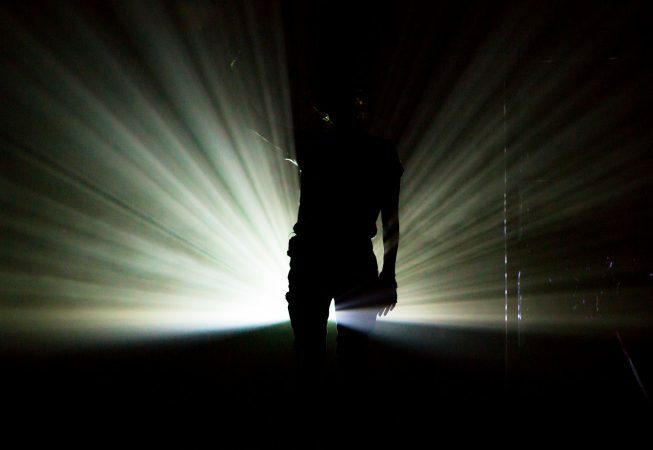 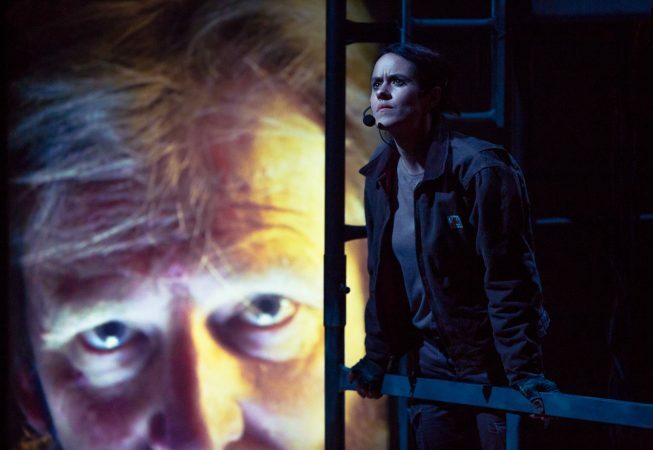 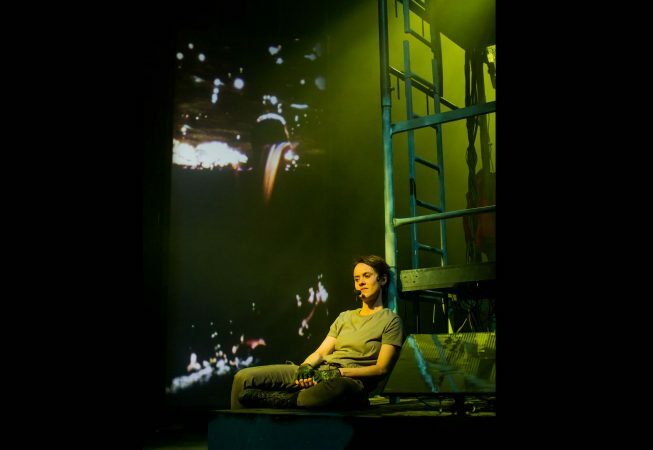 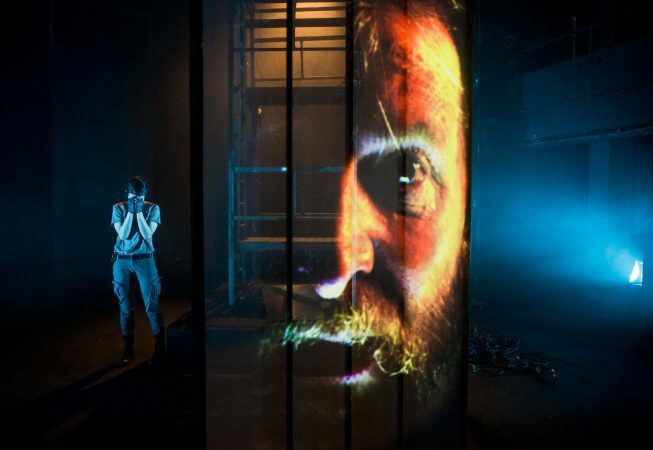 Dark Land Light House is a visual and visceral science-fiction for theatre produced by the amazing Bristol-based company Sleepdogs. It’s premiere run took place at Bristol Old Vic in April 2016. 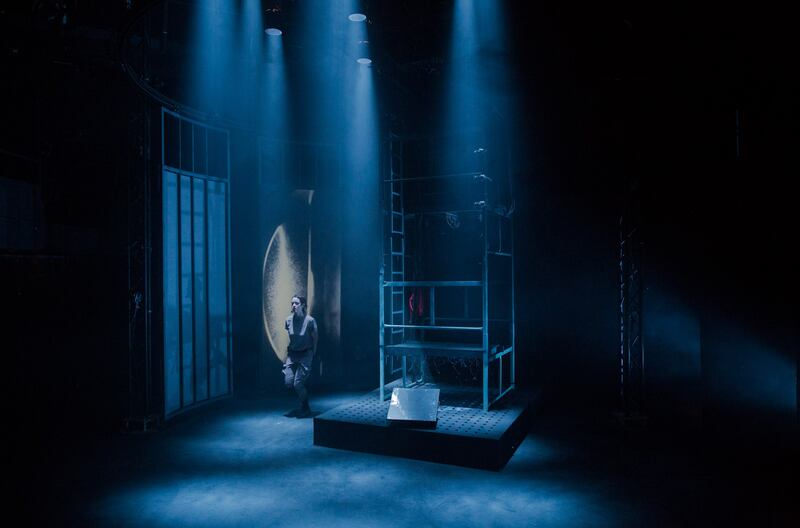 I worked closely with production designer Rosanna Vize to devise how screens could be integrated into the set. 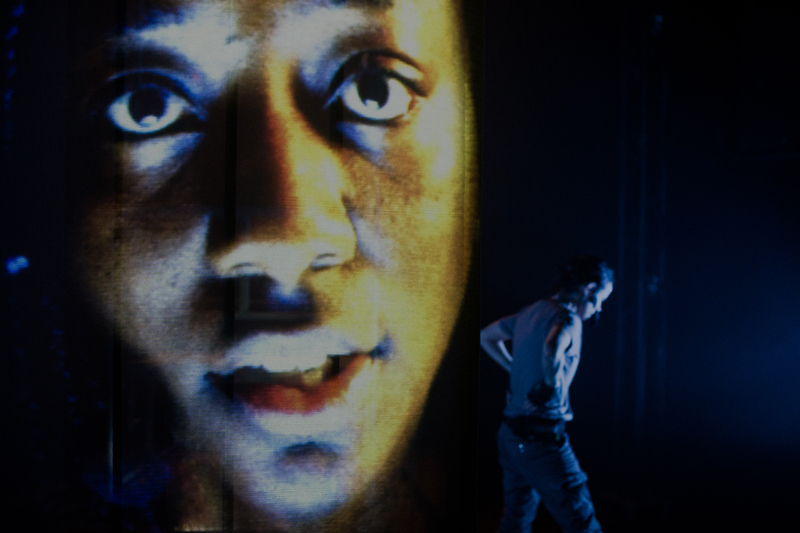 One projector was used to create a rear-projected portrait image upstage. 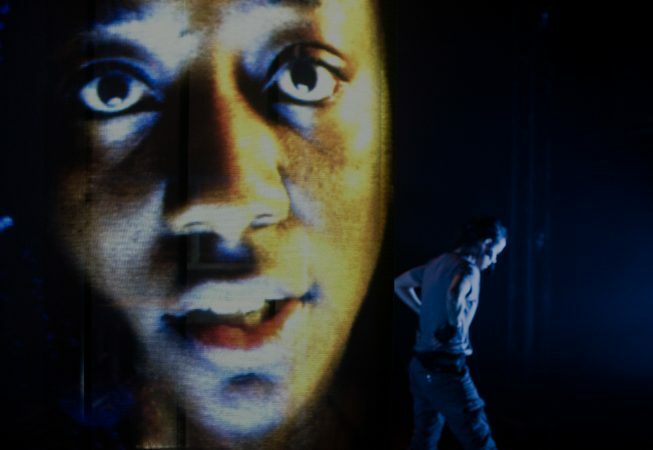 Another projected onto the floor of the stage to augment Ben Pacey’s lighting design but was also mapped onto a movable gauze screen that could be positioned downstage. 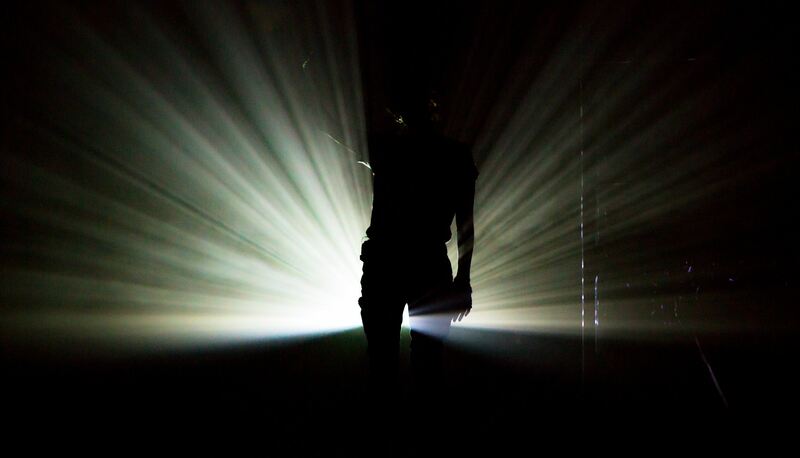 A third projector was used to create light-beam effects through smoke for the final scene.